Isle of Wight AONB is encouraging Islanders to take part in this major review by the Government and help shape the vision for the Island’s landscapes. As part of the UK Government’s Review into Protected Landscapes in England a ‘call for Evidence’ has been launched. This is a key opportunity for anyone one interested to voice their opinions about the future of the Isle of Wight Area of Outstanding Natural Beauty (IW AONB) and to help the Government formalise a long-term vision for England’s National Parks and AONBs. The IW AONB is a mixture of landscapes, covering approximately half the landmass of the Island. The diversity and relationships between the different landscape types, gives the IW AONB its unique and important context within the national family of Protected Landscapes. 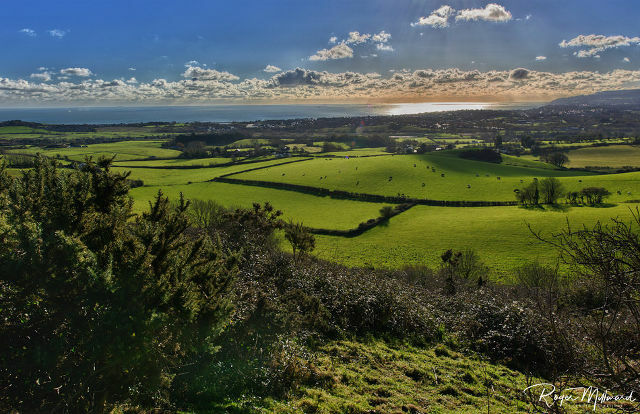 The IW AONB serves the community of the Island through its projects and initiatives including; Dark Skies, Isle of Wight UNESCO Biosphere Reserve and the ‘Down to the Coast’ Landscape Partnership scheme in the East Wight. The IW AONB also gives advice and guidance to farmers, planners and developers to conserve and enhance the Island’s special places. “The Government is looking at how the National Parks and AONBS, which cover England’s finest landscapes, are valued by the people who live, work and visit them. “We want everyone with a view to be able to set it out and are therefore opening a call for evidence. “The Isle of Wight AONB is a fantastic resource for the Island which supports our tourist industry, a diverse rural economy and the well-being of residents. The deadline for responses will be 18 December.